Is it Possible to Enjoy Las Vegas and Control Your Weight? First of all you have to decide on your fun factor. Part of the fun of visiting Las Vegas is the chance to eat a lot of wonderful foods. So, if you are going to sweat your weight, you might not have nearly as much fun. My decision was to have a good time and worry about the food when I got back home. I didn’t go crazy stuffing myself with bad food, but I also didn’t listen to the food cop inside me. 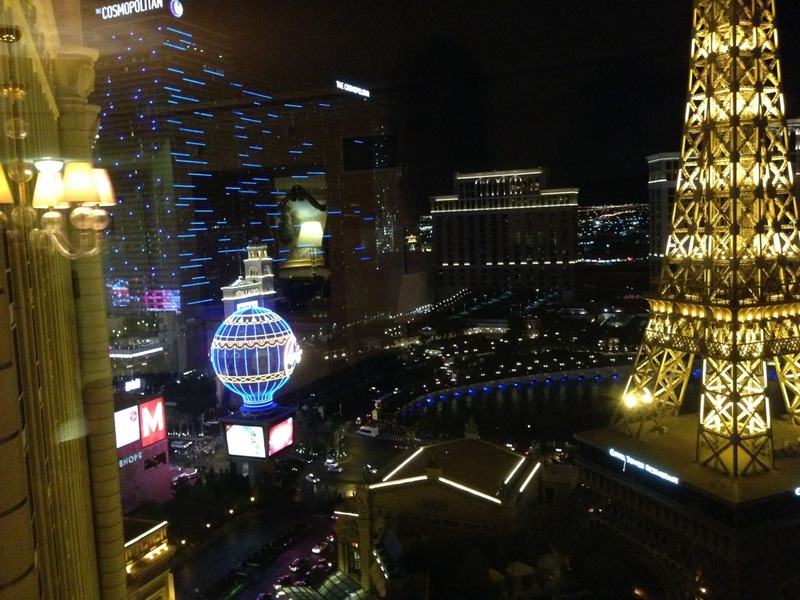 We stayed at the Paris Hotel and Casino on the strip. Here is a shot of the view from our window. 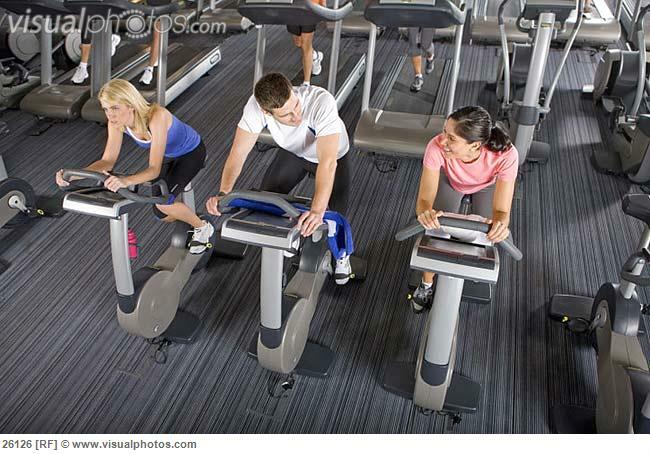 Another aspect of weight control at home or in Las Vegas is exercise. The hotel where we stayed had a health club as most do. I am not much on health clubs. They make me feel like I am in prison. In addition, as I wrote in a previous post on a Las Vegas visit, “Although there are no signs posted anywhere in the health club, or in the city for that matter, no one mentions the fact that Las Vegas is 2000 feet above sea level. The air is thinner. Air compresses under pressure. At sea level there is greater pressure than there is 2000 feet above, so while there is the same amount of oxygen in the air, the molecules are farther apart and you get less oxygen when you breathe.” I really don’t like working out there because I get strange feedback from my body. The bottom line is that I decided to skip exercise for the four day trip. In the course of four days we had a lot of meals. I am going to pick out a few that I can illustrate and share them with you. 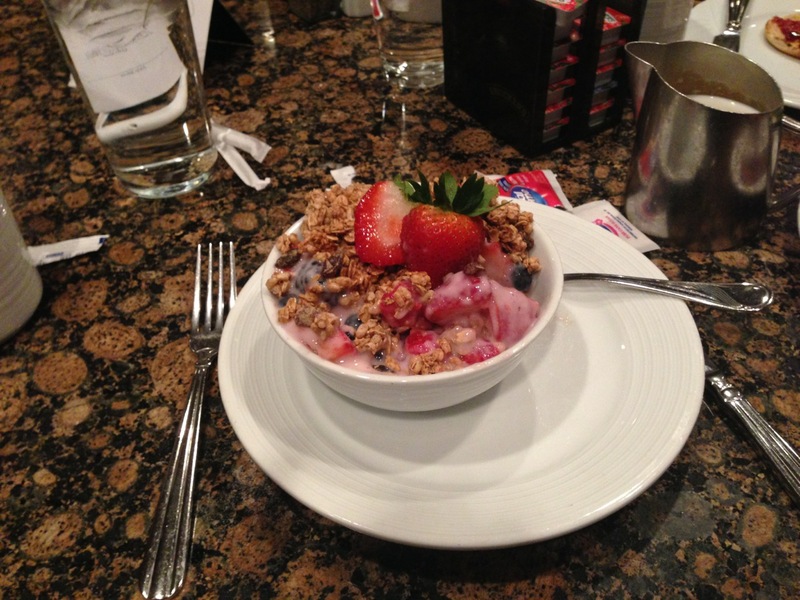 One of my healthiest breakfasts was a bowl of granola with yogurt and berries at Bally’s I am guessing it come in around 700 calories. Very tasty and held my appetite in check very well. 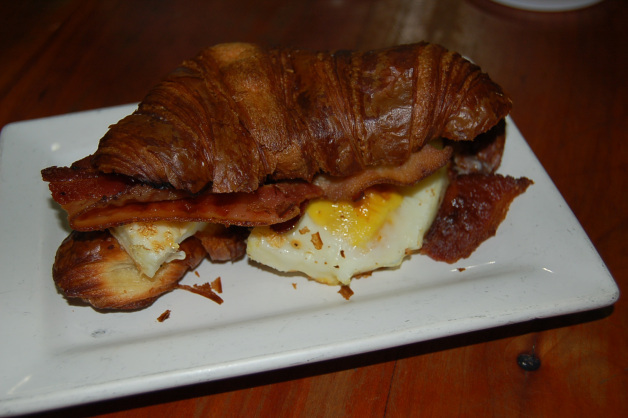 Below is a picture of a bacon, cheese and egg croissant sandwich. Paris has a lot of little eating places on a little street on the ground floor. I am putting the calorie count close to 1000 I know that croissants have at least 250 calories and that doesn’t count the eggs, bacon and cheese. By the way, this is a wonderfully tasty sandwich. Another treat I look forward to on every trip is a visit to the Lobster Chowder Company in the Caesars Palace food court. As you can see from the photo they will serve their lobster chowder in a bread bowl if you want. This adds calories, but also adds a lot of fun cutting up and eating the bread soaked in chowder. I like this so much I wrote it up for Yelp. I am guessing this would run 100 or so under 1000 calories. Again a lovely meal. One observation here about eating at these fast food type places. I bring a bottle of water. I don’t order sugary soda or is chemical substitute diet soda. This eliminates at the least a bunch of calories and at worst throwing damaging chemicals into my system. Check out my Page What’s Wrong With Soft Drinks? for more details. 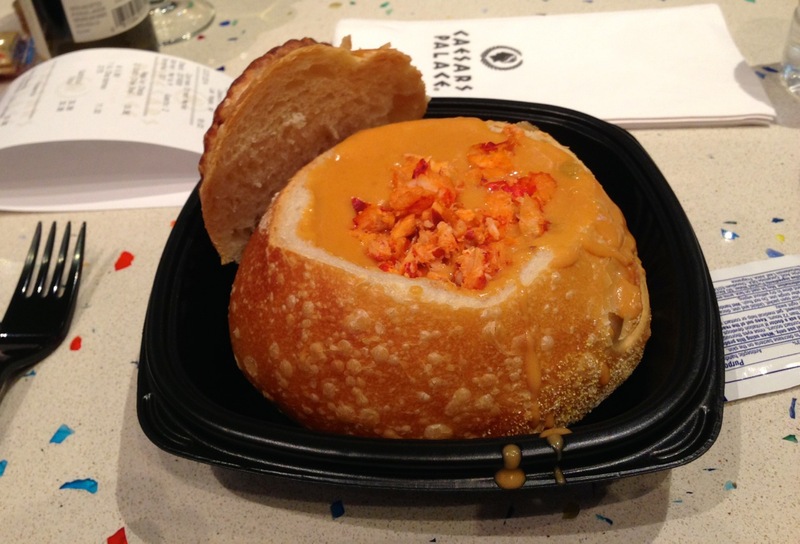 Lobster chowder in a bread bowl. 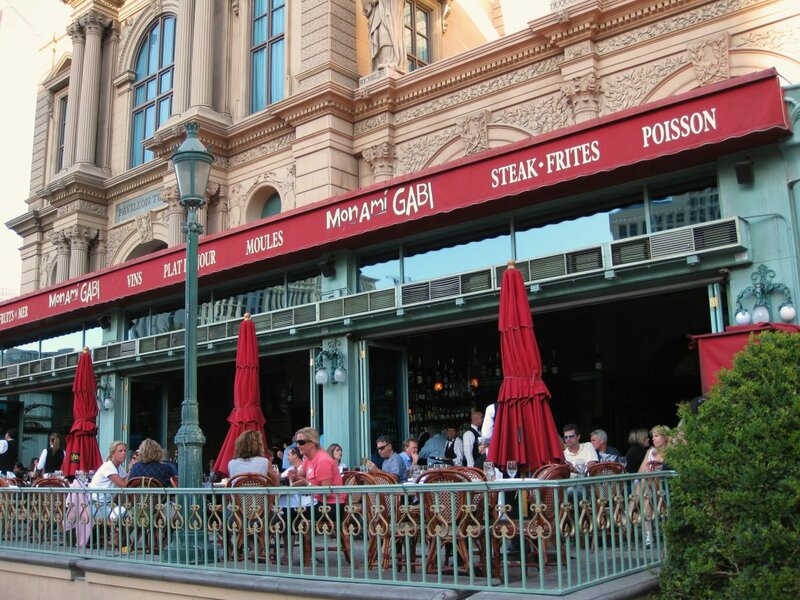 For our big meal we dined at Mon Ami Gabi, also in Paris. This is a very popular restaurant frequented by the locals. It also happens to originate in Chicago, so we knew about the quality of its food. 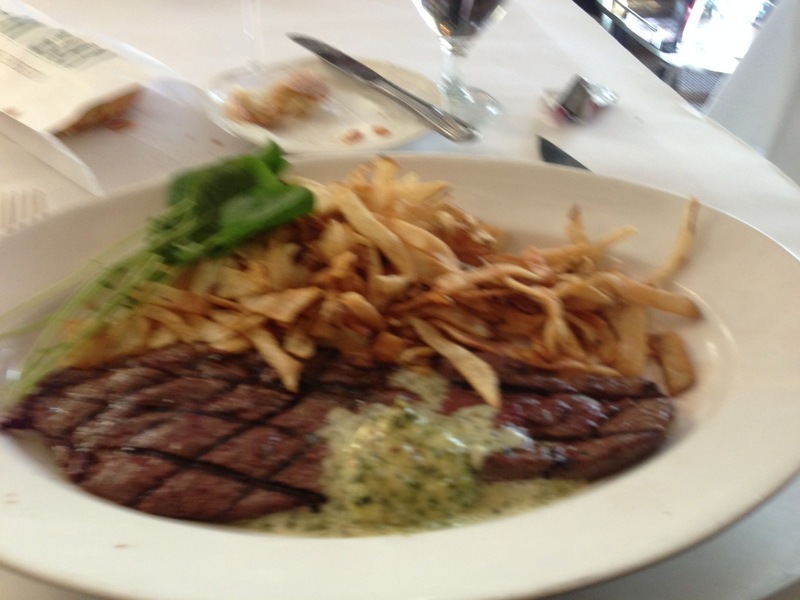 One of their specialties is Steak Frites which as you can see from the photo, I ordered. I guesstimated this entree at 1000 calories minimum. Yes, it was very large and I ate it all. 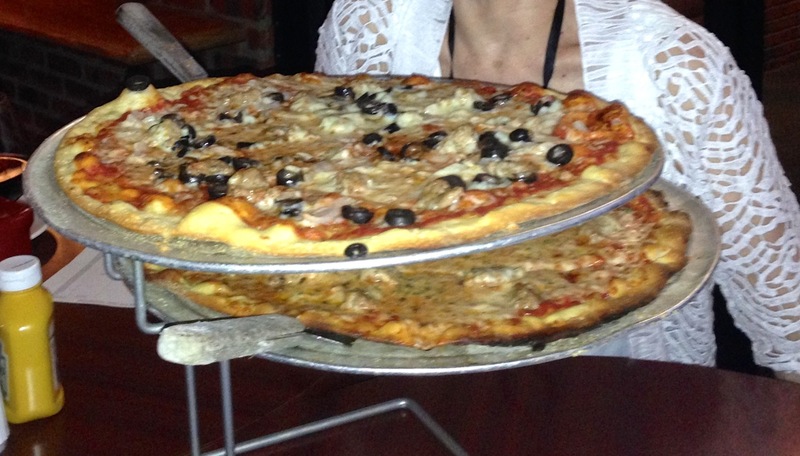 Another of my favorites is the pizza they serve at the Chicago Brewing Company in the Four Queens downtown. I know – why travel to Las Vegas for Chicago style pizza? The fact is it is excellent pizza and not like any of the pizza places I frequent back home. As you can see from the photo we had two good-sized pizzas on the final night. Our plan was to eat half of them and wrap the rest for the plane ride home. Cold pizza to an Italian guy beats the life out of anything they serve on an airplane. So, as you can see, I was pretty lax about my eating there. Take a guess at how much weight I put on with these meals and no bike rides from Monday through Friday. Spoiler alert, I gained a pound. That was all. I was very pleased that I did not pack on more pounds on the trip. However, to put this in perspective, to eat like this regularly and not exercise would gain at least a pound a week, or 52 pounds in a year. Clearly, it is a one off experience. Speaking of one off situations. 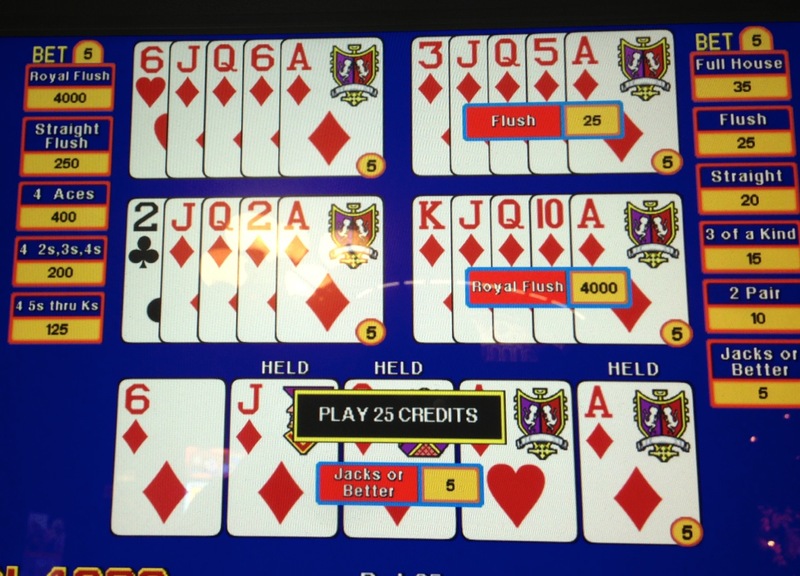 Here is a picture of a Royal Flush I caught at Paris. I am a video poker player. Man does not live by bread alone. Having covered holiday eating situations in which you are the guest, what about the one(s) in which you are the host(ess)? Here are some suggestions from a presentation by Holly Herrington, MS RD, before Northwestern Memorial Hospital’s Healthy Transitions Program®. Don’t feel like you have to make all the traditional food with 100 per cent traditional recipes and ingredients. Feel free to swap high calories ingredients out and put low calories ones in. For example, you can use low-fat cheese, Greek yogurt vs sour cream, mustard vs mayo, applesauce vs oil, cinnamon vs sugar. Most pumpkin pie recipes call for at least one cup of cream or evaporated whole milk and two eggs. Use evaporated skim milk and three egg whites to cut about 300 calories and 30 to 38 grams of fat from your pie. Buy brown and serve bread rolls instead of the higher-fat crescent rolls to cut about 1100 extra calories and about 100 grams of fat per dozen. Use light cream cheese instead of regular cream cheese in your dips, spreads and cheesecakes to cut about 16 grams of fat per cup of cream cheese. Make a little less so the temptation is not so great to overeat. Go easy on the gravy and opt for canned cranberry sauce on your turkey for a nutritious and fat-free option. Replace the bread in your holiday stuffing with canned chestnuts, a nutritious and different alternative. To further lighten your stuffing and add valuable nutrients, mix in canned, chopped vegetables, too. Serve meals in the kitchen instead of family-style on the table to avoid reaching for seconds out of convenience. Put any leftovers in the freezer before sitting down ot eat so as not to be tempted for second helpings. If you are baking for friends and family, spend a little extra time and money on individual packaging so you are less likely to dip into leftovers. I hope these suggestions prove helpful to you in your holiday meal preparation. Please feel free to send in your own suggestions as well as substitutions. You can read the entire Healthy Holiday eating series starting with Tips for Healthy holiday eating and scrolling backwards. Happy and healthy holiday eating! So far I have confined myself to holiday dining with family and friends, but the holiday season contains another diabolical source of bad food – the workplace. A little personal anecdote here: I worked for a philanthropic organization for my final 10 years before retiring. Holiday time was a very happy period as we were deluged with huge tins of various kinds of popcorn, carmelcorn, kettle corn, etc. We would receive ten pound chocolate bars which were left in the break room with a knife for cutting off a piece. I’m sure it is no surprise to anyone that I weighed upwards of 180 pounds in those days compared with my low 150s now. One of the reasons I no longer have a weight problem is the 180 degree change in my attitude toward food. I don’t think of food as a pleasure source in itself to be mindlessly consumed like I did as a child. I now think of food as a source of good health and fuel for my body and my activities. You can read further on Whether food is an end or a means in that blog post. I still enjoy the taste of food, but I don’t stop there. One way to look at office snacks is that those little Snickers Bars only amount to 100 calories. What’s the harm? The harm comes from eating a dozen of them for a total over 1000 calories, or more than half of your daily calorie budget of 2000 calories. As it takes 3500 calories to put a pound on your body weight, it wouldn’t take too many days of snacking like this to pack on some weight and waist. Another way to look at it is: what do you need to do to burn off 1000 calories. – Or the equivalent of three hours of physical activity. Maybe seeing the price you pay in physical activity to burn off a snack binge will help to put workplace holiday snacking into a clearer perspective for you. 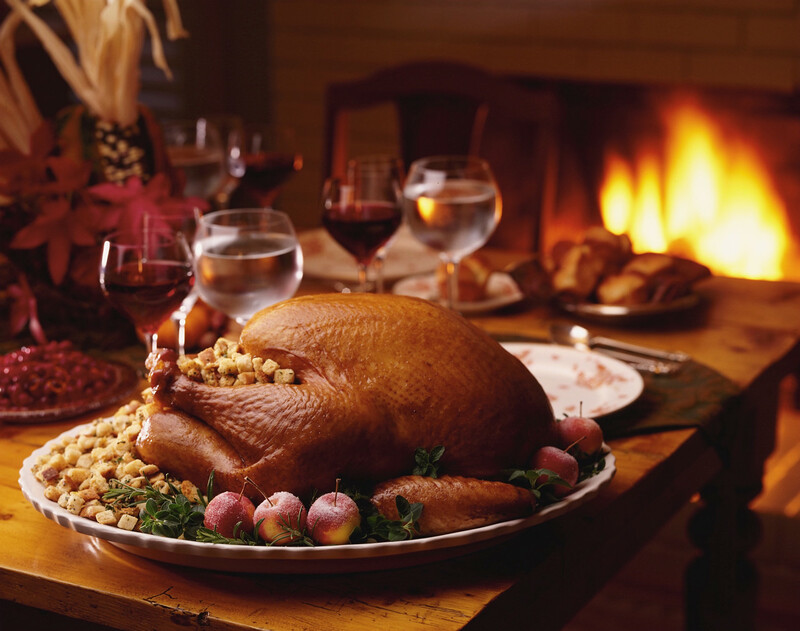 Eat less; move more … and enjoy the holidays. I have written repeatedly about portion control in relation to controlling one’s weight. Recently, I stumbled onto an instance of portion control in an area of eating healthy food, too. Hence this post. I want to make clear that while we regulate the portions of our foods to control our weight, we also must pay attention to how much we are eating when it comes to healthy foods, too. For some reason there are people who think that they have to limit the amount of potato chips they eat, but they can have ALL the fresh fruit they want at one sitting. Not so. 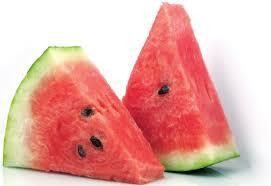 Here is a healthy portion of watermelon. Eating a half of a watermelon is NOT healthy. Last year I wrote about a person who was trying to substitute cherries for less healthy snacks. So he sat down and ate a pound at one sitting several days running. You can read the details in my post – Can cherries cause an upset stomach? 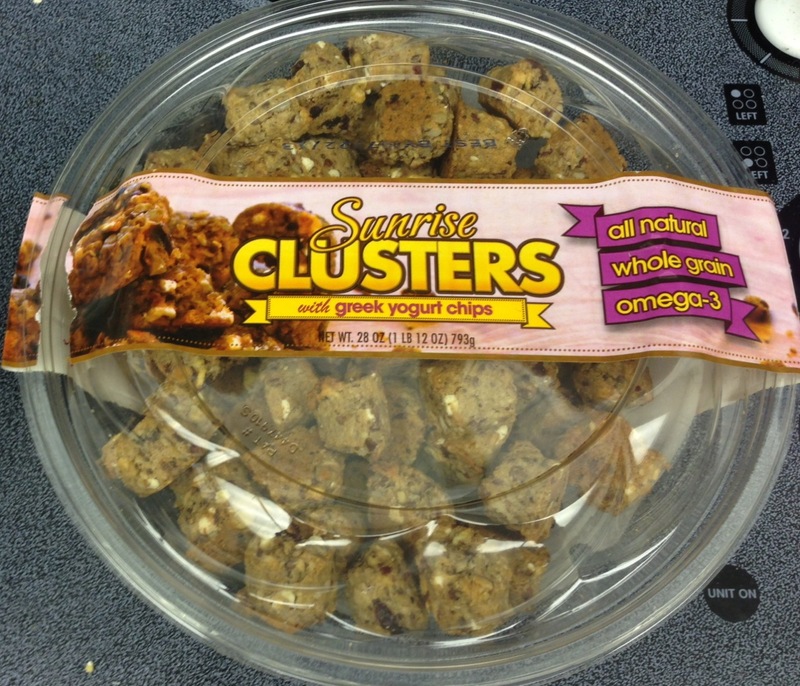 What are Sunrise Clusters with Greek Yogurt Chips from Costco? Another trip through Costco, another fun healthy snack food found. I wrote about Sunrise Energy Bars back in November and recounted how much I enjoyed them as an energy boost on bike rides. Apparently now comes the next chapter from the Sunrise brand. These are not bars, but just about bite size (slightly bigger) clusters of a granola-like substance. The package boasts ALL NATURAL, WHOLE GRAIN, OMEGA 3. As you can see from the photo, they come in a big tub and are not individually wrapped like a lot of energy products. For folks with little impulse control, here is my early verdict. I have snacked on a couple of them and liked the taste very much. They are very handy for a guy like me who tosses little snacks into a bag and brings them on bike rides for energy pick me ups. The ingredients include: whole grain rolled oats, whole grain oat flour, cranberries, raisins, dried apples, apricots, almonds, sesame seeds, flax seeds, chia seeds, hemp seeds, sunflower seeds, cashews, walnuts, shredded coconut, non-hydrogenated canola oil, unsalted butter, Greek yogurt chips, sugar, palm kernel oil, yogurt powder, whey protein concentrate, nonfat dry milk, yogurt cultures, reduced mineral whey powder, lactic acid, soy lecithin, vanilla, brown sugar, honey, salt, baking powder, baking soda, tapioca syrup, natural flavor and cinnamon. Serving size 3 pieces (28 grams) which amounts to one ounce. They don’t taste very different, either. So, it may come down to what shape you like your energy snacks in, bite-sized cluster, or slightly larger snack bar. As far as function goes, I ride my bike almost daily here in Chicago. I take along snacks to boost my energy. When I take a break for a snack I try to limit my intake to about 50 calories so my body doesn’t get hung up in digestion. So, the slightly lower in calorie Clusters appeal to me. “A typical 2-ounce, all beef frank contains 14 to 16 grams (g) of fat, between 150 and 180 calories, 25 to 40 milligrams (mg) of cholesterol, and over 500 mg of sodium, according to Robert D. Sheeler, M.D., Medical Editor of the Mayo Clinic Health Letter. • Fat-free or has less than 2 g of fat — Made of beef, turkey or a mixture of meats, these can deliver a decent-tasting hot dog for 50 calories or less. They have little or no fat and 10 to 15 mg of cholesterol. Still, they typically have well over 400 mg of sodium. • Reduced fat — Made of beef, chicken or turkey, these contain between 7 and 10 g of fat, about 100 to 120 calories, 25 to 55 mg of cholesterol, and typically over 400 mg of sodium. Their taste isn’t necessarily better than that of very low-fat hot dogs. 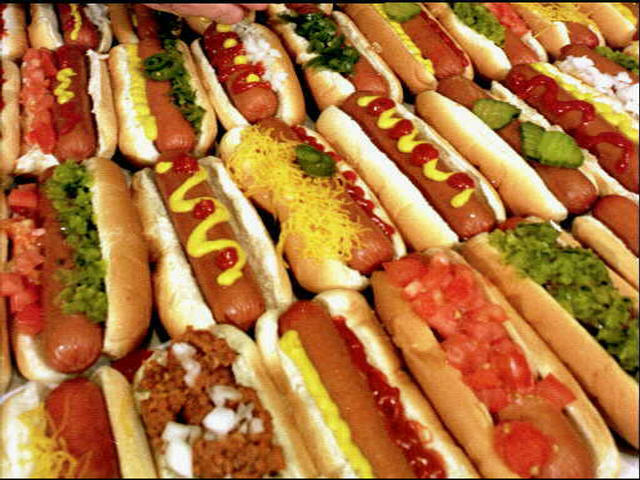 All-poultry hot dogs allow you to avoid red meat, which has been linked to colon cancer when eaten in large quantities. • Meatless — These typically are soy based with between 0 and 6 g of fat, no cholesterol, and 200 to 400 mg of sodium. Taste is subjective, but condiments may be needed to liven up their flavor. The Mayo Clinic Store has the latest products from the Mayo Clinic doctors, specialists and editorial staff. How Many Calories in McDonald’s NEW Quarter Pounders? As the heat of summer approaches it is nice to have some simple go-to meals that satisfy our nutritional needs that at the same time taste great. I consider my Avocado Walnut Summer Salad to be just such a thing. I lived in London some years ago on a one-year assignment with Reuters. I stumbled across the basis of this salad there. Several restaurants that I frequented served a salad consisting of a half avocado, pitted, and filled with salad dressing. That’s it. It tasted delicious and I ordered it often. I alluded to this salad when I wrote up the benefits of avocados back in February. A good friend of mine has since added the excellent element of an ounce of chopped walnuts to the mix. You can read more about the nutritional benefits of walnuts in the previous post. To make this salad, remove the pit of a ripe avocado, clean out the meat, slice up and place in a salad bowl, drop in an ounce of chopped walnuts and cover with salad dressing. Voila! Instant delicious summer salad. I consider this to be a really good high energy salad with all that fat. 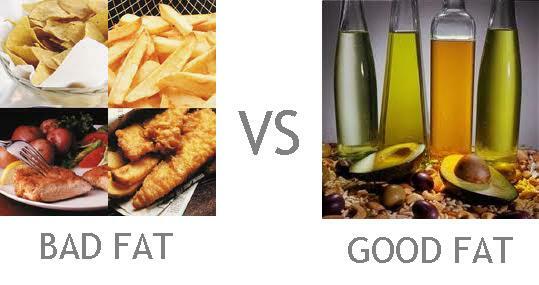 Remember, fat, per se, is not bad, but there are bad fats. 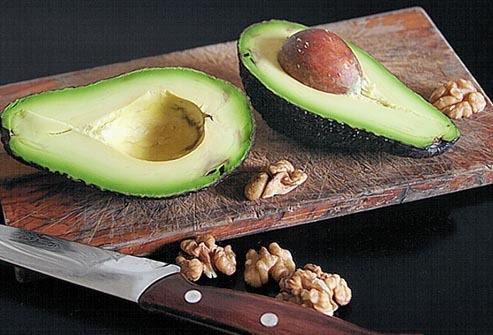 The fats in walnuts and avocados are not bad fats. There is also nearly nine grams of fiber in this which comes to about a quarter of a day’s needs. 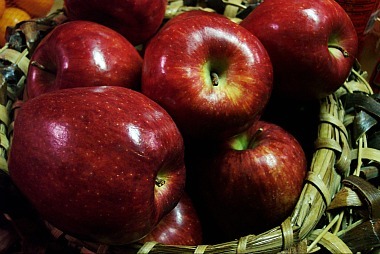 Many people have a hard time consuming the 40 grams of fiber necessary each day for good health. If this has piqued your appetite for more info on good fats, check out Why should I try coconut oil? It might open your mind as well as your arteries. I didn’t include the salad dressing because that will vary with the person making the salad. I use two tablespoons of the light stuff that comes to around 20 calories per tablespoon. How Good is the Costco Energy Blend Snack? 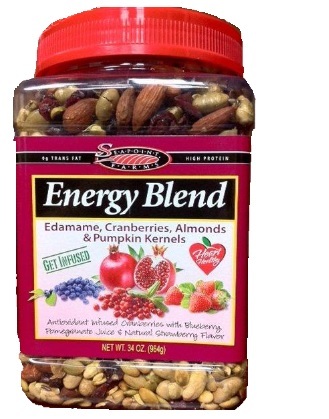 On a recent trip to Costco, I happened upon the Energy Blend snack. As I shop there regularly and have never seen this before, I have to believe it is new to Costco. Since I ride my bike as close to daily as is possible in a four season city like Chicago, i am always on the lookout for fresh and portable sources of energy to take with me on rides. The Energy Blend seems to fill the bill. It has a simple composition of edamame (soybeans) , cranberries, almonds and pumpkin seeds. In addition there are blueberry pomegranate juice and natural strawberry flavor. These are some very good sources of nutrition on their own so the combination looks promising. At this point, I have only had a single serving of it which comes to 1/4 cup or 30 grams – about an ounce. I enjoyed eating it. Very nice taste and texture. This seems a very good nutritional breakdown to me. There is fat for energy, not too many calories, enough sodium to restore salt sweated away, a good slug of fiber and protein. I think it is worth the try. 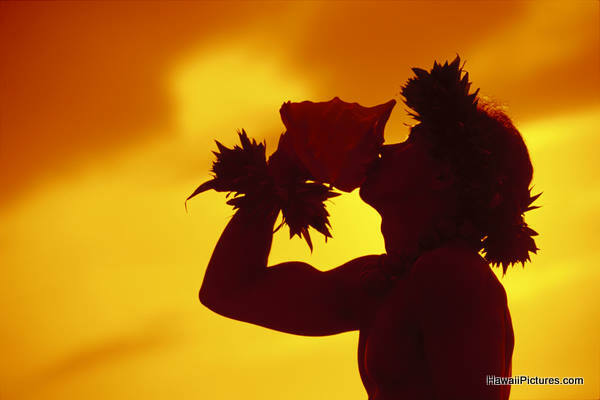 What is Hawaiian style Pasta? In the case of Mr. Lazy Cook it is something he concocted for a friend when she told him she was allergic to olive oil. After all, what goes better with pasta than olive oil? This is a simple variation on my recipe for shrimp pasta. a while back. Whatever way you make your pasta, this recipe starts with it in the cooked form. I wrote up coconut oil less than a month ago and have integrated this very healthful ingredient into my cooking and my life. I know the cliche about saturated fat, but please read my blog post on it before jumping to judgment. Okay, let’s make some Hawaiian Style Pasta. Take a serving of the cooked pasta, instead of olive oil, add coconut oil to taste. Mix well. Cut up some pineapple wheels. I have a store that sells fresh cored pineapple and keep on in my fridge at all times. I probably eat about one to two pineapples a week, just cutting wheels off it and snacking. (A wheel of pineapple amounts to 42 calories. Just out of the fridge I prefer it to ice cream.). I cut each wheel into around eight to 10 pieces. Mix these into the serving of pasta and microwave for around a minute, depending on your microwave. When this comes out of the microwave, I top it with parmesan cheese and serve it up. I thought it tasted great. Not like any pasta I could remember. The coconut oil also adds a nice flavor element. One serving of pasta amounts to 200 calories, one wheel of pineapple 42 calories and two teaspoons of coconut oil 87 calories, so one serving of this Hawaiian Style pasta amounts to 329 calories. Should I Be Tested for Hepatitis? 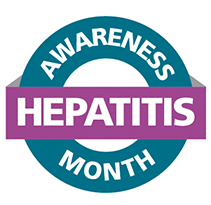 May is Hepatitis awareness month. Millions of Americans are living with chronic viral hepatitis and many do not know that they are infected. Every year, approximately 15,000 Americans die from liver cancer or chronic liver disease associated with viral hepatitis. Despite this, viral hepatitis is not well known. In fact, as many as 75 percent of the millions of Americans with chronic viral hepatitis don’t know they’re infected. The word “hepatitis” means inflammation of the liver. Hepatitis is most often caused by one of several viruses, which is why it is often called viral hepatitis. The Centers for Disease Control offers a free Hepatitis Risk Assessment to find out if you should be tested for viral hepatitis. This risk assessment tool allows individuals to answer questions privately, either in their home or in a health care setting, and print their recommendations to discuss with their doctor. May 19 is National Hepatitis Testing Day. You can take the free test by clicking on the link above. I guess this would have to be filed in the Something We Need Like Another Hole in the Head Department. Wrigley, a subsidiary of Mars, Inc., has launched a chewing gum with 40 milligrams of caffeine per piece and 8 pieces per box. The average cup of coffee has 100 mg, so just one of these amounts to 40 percent of a cup of coffee. 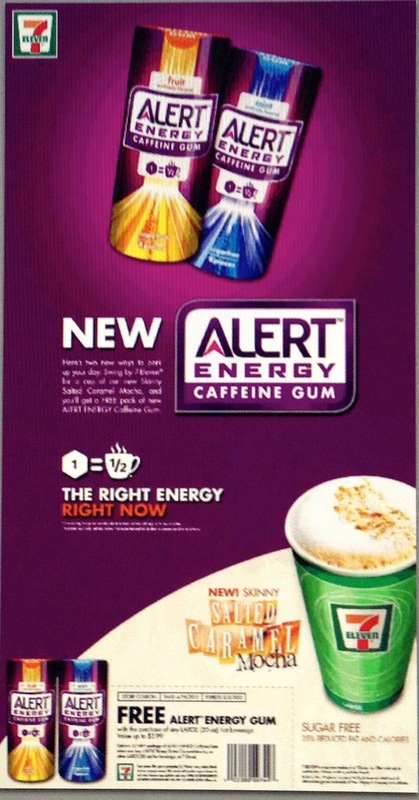 As you can see from the ad, the product is being advertised for free at 7-Eleven with the purchase of a Skinny Salted Caramel Mocha or other large hot — and presumably caffeinated— beverage! I was not able to nutritional info on this drink, nor the amount of caffeine. The Center for Science in the Public Interest (CSPI) pointed out that The American Academy of Pediatrics discourages the consumption of caffeine and other stimulant substances in the diets of children and adolescents. Too much caffeine can cause anxiety, restlessness, irritability, and insomnia in just about anyone, according to CSPI. The release is perfectly timed to come out right around final exam time for kids everywhere. Large amounts of caffeine can cause rapid heartbeat and seizures that are severe enough to require emergency care. While the FDA has regulations governing caffeine in cola-type beverages, those regulations did not anticipate the widespread caffeination of the food supply. As I oppose Red Bull and all those other stimulant drinks, I have to say this gumming up chewing gum idea really takes the cake. The opportunities for getting too much caffeine are rife. If you were to take all eight pieces you would have chewed up 320 mg of caffeine, more than three cups of coffee with caffeine. These are a dangerous idea for adults and reckless for kids. I haven’t eliminated meat from my diet, but I have cut back sharply. If you are considering either going without meat, or cutting way back, you have probably wondered about what you will be missing in nutrition. Well, Dr. Robert Sheeler, Medical Editor of the Mayo Clinic Health Letter offered some worthwhile tips for just such a situation. ” … if you eliminate or markedly reduce only the meat in your diet, but still consume animal products such as dairy and eggs, and a wide variety of plant-based foods, you should have no problem getting adequate protein, iron, calcium and vitamin B-12. “Even a vegan diet — which eliminates all animal-based foods, including dairy and eggs — provides adequate protein and iron if you get enough calories and eat a variety of foods, including soy products, legumes, lentils, nuts, seeds, whole grains, and dark green leafy vegetables. • Calcium — If you don’t consume dairy products, a calcium supplement may be necessary. Other calcium sources include fortified products such as some types of tofu, soy milk, breakfast cereal and fruit juice. Dark green vegetables, such as spinach and broccoli, also contain calcium. • Vitamin B-12 — Some foods, such as breakfast cereals, are fortified with vitamin B-12. Still, you may need to take a vitamin supplement to get this important nutrient. The key to a healthy meatless diet, like any diet, is to enjoy a variety of foods. No single food can provide all the nutrients your body needs. 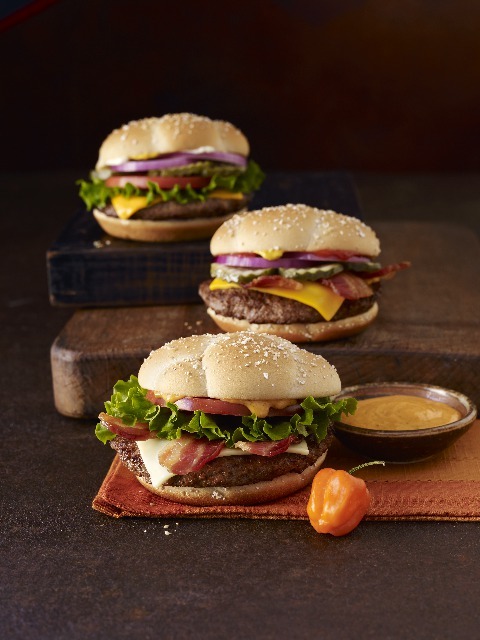 WASHINGTON–Ground beef and chicken are by far the riskiest meat and poultry products in the American food supply and pose the greatest likelihood of hospitalization, according to a new report by the Center for Science in the Public Interest. 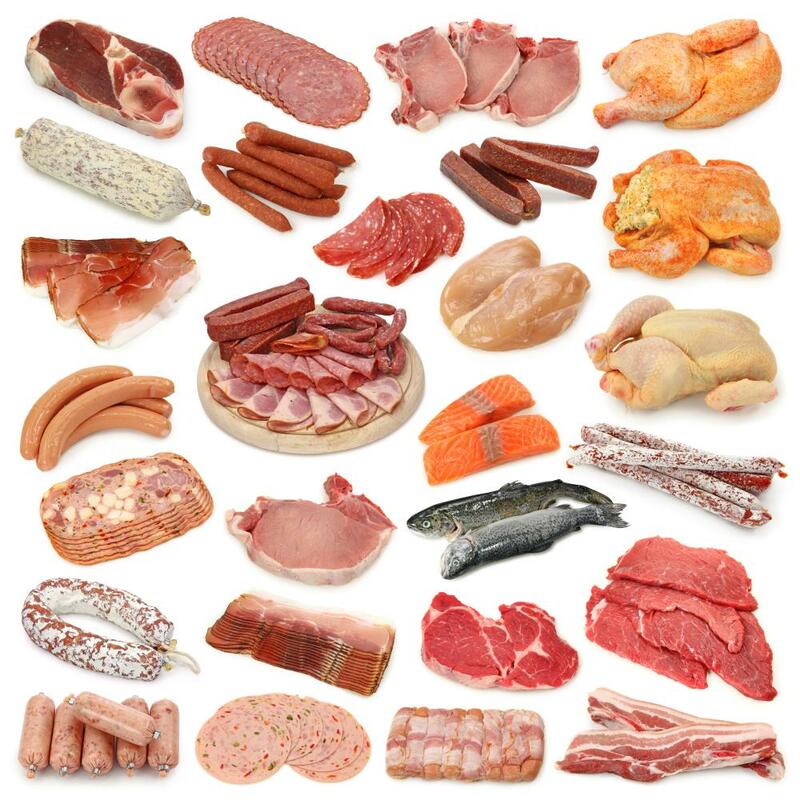 Furthermore, according to the nonprofit group’s analysis of more than 33,000 cases of food borne illness connected to products regulated by the U.S. Department of Agriculture, chicken nuggets, ham, and sausage pose the lowest risk of food borne illness. 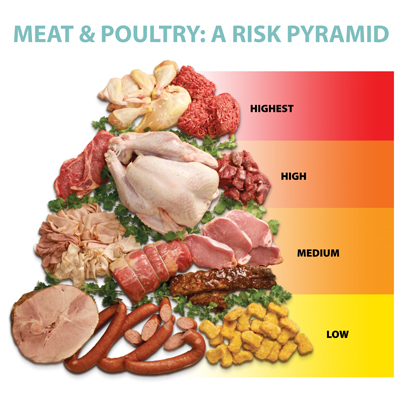 The report, Risky Meat: A Field Guide to Meat & Poultry Safety, ranks 12 categories of meat and poultry based on outbreak reports and the likelihood of hospitalizations associated with the pathogens most commonly reported in those foods. Ground beef and chicken are not only responsible for the largest numbers of outbreaks and cases of illnesses, but those illnesses tend to be more severe. The deadly bacterium E. coli O157:H7, for instance, was responsible for 100 outbreaks associated with ground beef in the 12-year study period. 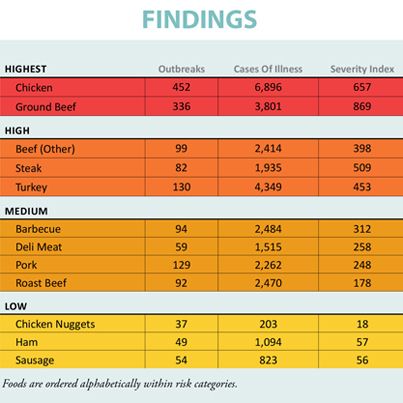 Because that pathogen is estimated to result in hospitalization in nearly half of those infected, ground beef had the highest severity index of the 12 meat and poultry categories. Ground beef is also connected to illnesses caused by Clostridium perfringens and Salmonella. Hospitalizations caused by Salmonella put chicken in the “highest risk” category alongside ground beef. Clostridium perfringens and Norovirus also cause outbreaks associated with chicken. Campylobacter bacteria are also believed to cause a large number of individual illnesses associated with chicken but rarely cause outbreaks. What Does Too Much Sugar Do To Me? I have written so many posts on sugar consumption that to list them here would bog down this post immeasurably. If you want to learn more about sugar, simply type S U G A R into the search box at the right and you can see them all. Before I get into this morning’s topic, I want to reiterate the best tool for dealing with sugar consumption – information. One teaspoon of sugar weighs 4.2 grams, so when you read that a beverage has 40 grams of sugar, you will know instantly that it has about 10 teaspoons full and maybe you will decide not to drink it. Secondly, the American Heart Association recommends 6 teaspoons of sugar for women and 9 for men per day. So, what does too much sugar do to me? “If we consume more sugar than we burn through activity our liver converts the excess glucose into fat. Some of this fat stays in the liver but the rest is stored in fatty tissues around the body. This is why repeatedly eating too much sugar can lead to weight gain, and even obesity, when combined with a sedentary lifestyle. • Diabetes: Consuming too much sugar in your diet can lead to obesity, which increases your risk of developing Type 2 diabetes. Those with this condition don’t produce enough insulin and aren’t sensitive enough to what’s produced. Blood sugar levels aren’t regulated properly leading to thirst and tiredness in the short-term and damage to blood vessels, nerves and organs if left untreated. • Heart disease: Obesity also raises blood pressure and ‘bad’ cholesterol levels while lowering levels of ‘good’ cholesterol. These all contribute to raising the risk of heart disease. • Fatty liver disease: Excess sugar can be stored as fat in the liver. The condition has been linked to an increased risk of diabetes and even liver cancer. • Tooth decay: When we eat sugary foods, bacteria in our mouths break down the carbohydrates and produce acids that dissolve minerals in our tooth enamel. The longer the sugar is in contact with teeth, the more damage bacteria can cause. Left untreated this can cause pain, infection, and tooth loss. So, there are five more good reasons to pay attention to the amount of sugar you are consuming. I hope that helps you to cut down. How Do I Give up a Favorite Snack? I wrote about food sensitivity in late March. In that post, I also mentioned that I feared I suffered from food sensitivity as I have arthritis, nasal congestion and post nasal drip. Since that time, I have contacted a nutritionist and am beginning the elimination diet. Briefly, in the elimination diet, I will be eliminating dairy and gluten foods from my consumption. After a couple of weeks, I hope to see the symptoms of my ailments becoming less aggravating. If that is the case, I will have established that I have a sensitivity to either (or both) gluten and/or dairy. The nutritionist was great to talk to. She gave me lots of materials to read that will aid in my following the diet. This brings me to one of the first ‘challenges.’ Back in April of last year I wrote A Tasty Apple Dessert or Snack.